Valerie L. Zagone earned her Juris Doctorate Degree and successfully completed all the course work in the Master’s in Taxation Program (LLM) from IIT Chicago-Kent College of Law. Her first year at Chicago-Kent College of Law, Ms. Zagone received a merit scholarship based on her academic achievements and leadership ability. Ms. Zagone also received the Academic Achievement Award for attaining the highest grade in Criminal Procedure. Further, Ms. Zagone was on the Dean’s List during her law school career. During her time at Chicago-Kent, Ms. Zagone volunteered at the Advice Desk in the Daley Center, assisting struggling pro se litigants. After graduating and passing the bar exam, Ms. Zagone was admitted to practice law in Illinois. After receiving her license to practice law, Ms. Zagone worked for the State’s Attorney’s Office in the Child Support Division. She established paternity for unwed fathers and she felt great satisfaction assisting the children in these cases. Ms. Zagone then became the Chief Deputy Clerk for the Clerk of the Circuit Court of Cook County, first in Rolling Meadows where she managed the docket for all traffic, criminal and civil courtrooms. Then, she managed the Criminal Department of Cook County, overseeing a 7-day week operation with 8 locations across the city. In this position, Ms. Zagone worked with the Chief Judge’s Office, the Chicago Police Department, the Sheriff’s Office and the State’s Attorney’s Office to introduce the video courtroom system. She also assisted with the implementation of an Order of Protection computer system that ensured the orders were entered immediately. Immediately prior to joining the Law Offices of Jeffery M. Leving, Ltd., Ms. Zagone established her own practice where she handled family and criminal law cases. 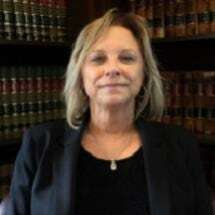 She now handles complex cases and is indispensable to the clients at the Law Offices of Jeffery M. Leving. Ms. Zagone’ s interest and passion for the law began with her studies in Political Science at DePaul University. During her studies at DePaul, she was a member of Pi Sigma Alpha and the National Political Science Honorary Society. Ms. Zagone also was nominated to participate in the Study Abroad Program in Budapest, Hungary where she studied for a trimester in Budapest. She was on the Dean’s List each year and graduated with Academic Honors. Represented a client winning custody after serving time in prison for a nonviolent offense. In this situation, this custody arrangement was in the best interests of the child. Represented a juvenile facing serious drug charges and safeguarding her liberty. The client was afforded the opportunity to get her life back on track. Successfully represented a Father who was charged with Assault and Battery. He was accused of losing his temper in a court hearing where he was criminally charged. The case was dismissed through Ms. Zagone’ s zealous representation.